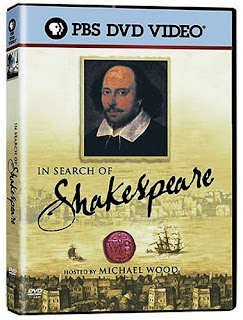 Hosted by Michael Wood, this complete four part series exploring the life of the world's greatest and most famous writer. Presenter-led, mixing travel, adventure, live action interviews and specially shot documentary and live action sequences with the RSC on the road. A history series - it focuses not on the plays, but on the history and sets the life of the poet in the extraordinary times in which he lived. We are introduced to the dark world of Queen Elizabeth's police state - a time of surveillance, militarism and foreign wars. We are reminded that Shakespeare lived through the Spanish Armada, the Gunpowder Plot, the colonisation of the New World and the beginnings of British power in America. But most importantly Shakespeare also lived through England’s Cultural Revolution: an enforced split with the old medieval English spirit world which was to lead the English people into a brave new Protestant future. A split which defined Shakespeare’s life -and our modern world.